Financing for the projects you want, on your terms. When you want the latest home automation solutions, you want them now and they want them to be affordable. That’s why financing is so important. 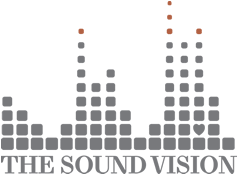 GreenSky® has many benefits to meet the needs of The Sound Vision and our customers. A range of packages – The wide variety of plans means you’ll have the perfect financing solution for projects large and small, from a basic home security system to an entirely connected home. – Whenever possible, applicants are approved for additional credit. This gives you the opportunity to increase the scope of the project and add more of the automation and home protection capabilities customers want. STEP 1. Contact us for your reference number. STEP 2. Click the APPLY NOW button for the financing you're interested in. It's that simple to get started.